August 23 marks the 20th anniversary of the release of the Super Nintendo. This is a source of much celebration and rejoicing for right-minded people as the SNES is probably the best video games system ever released. It is also going to be the source of a week’s worth of celebratory posts on this blog. Since the SNES was the last popular primarily 2D console (I said popular Saturn fans who only theoretically exist) it was the last time 2D games were the recipients of attention and dollars from publishers. 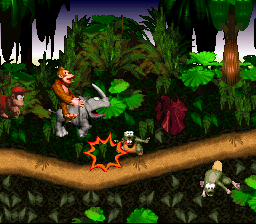 After the SNES, 2D games were primarily throwbacks or fan-games, or the SNES’s second coming as the GBA/DS. This is why the SNES is 2D perfected; there was never anyone to make these games better than they were on the SNES. And while the SNES’s library isn’t particularly large, it is very top heavy. There are a disproportionate number of great games for the system. Other than the games, the SNES also had maybe the greatest controller ever created. Nintendo has a way with controllers. Even their ugliest monstrosity (N64) works well in practice. 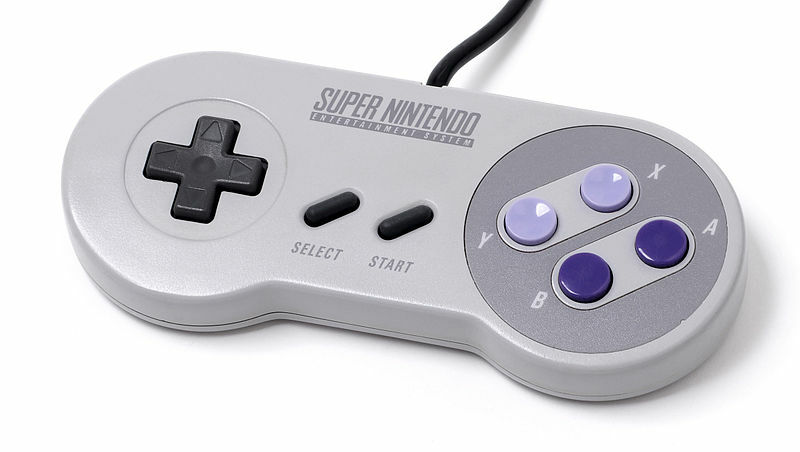 The SNES controller is perfect in its simplicity. Instead of 2 face buttons, the SNES has 4, cleverly spaced and half convex, half concave for easy sightless button recognition. It also introduced the now essential shoulder buttons, which now are used as triggers for shooters but then were there to keep from gimping Street Fighter 2. For 2D games, there is nothing better than the SNES pad. The system itself was not as sleek as the controller was. It did fix the NES’s greatest flaw, the easily broken VCR-like sliding deck, but it looked very boxy, like a toy. The look of the system did not do it any favors in its competition with the Sega Genesis. In the battle between these two 16-bit titans, Sega tried to brand itself as the cool video game console. With claims of “Blast Processing,” a noticeably sleeker console and coups like blood in Mortal Kombat this perception was widely cemented. Sega’s success seems to have worked against it in the long run, though. Nowadays the Genesis is mostly remembered for fake “Blast Processing” and Sonic the Hedgehog. 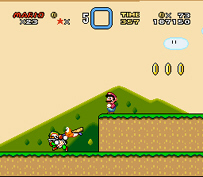 It is tempting to say that Nintendo let their games do their talking, Sonic may be facing some harsh critical reevaluations but Mario World is still widely regarded as a classic. But it is easy to remember that Mario did not beat Sonic back then, Donkey Kong Country did, with its “cool” digitized graphics. And Nintendo was hardly sitting quietly, it is just that their attempts to encourage players to Play it Loud were not so successful. In the end, the SNES was not quite the cultural touchstone that the NES was. It faced stiffer competition from the Sega Genesis and mostly just built off the success of its predecessor. But the SNES was released at the perfect time to catch my attention and there are just so many great games that I could never love another console as much. So this week is going to be dedicated to my boxy friend sitting in the cabinet under the TV, growing ever yellower in its old age. This week I think I will Play it Loud, and I hope you will too. Or you could wait until the week that is actually the anniversary, but that doesn’t work with my blogging schedule. Too true. Best system of all time – especially if you were fond of RPGs. FFIII/VI, Chrono Trigger, Secret of Mana (my personal favorite game), Earthbound. Hell, even Illusion of Gaia was win.